Making a difference in the lives of those with whom we live in and around is a goal of the LACF. Many of us do things everyday to make an impact. In 2016 these 3 award winners were recognized for doing just that. This award recognizes a corporation or business that has created a culture of philanthropy within their organization and has demonstrated an outstanding commitment to philanthropy through its: 1) financial support of one or more nonprofit organizations, 2) leadership involvement and 3) volunteer participation and commitment of its workforce in establishing a role model for other businesses in our community. This award does not recognize a single individual representing a corporation or business, but rather the work of the entire corporation or business. 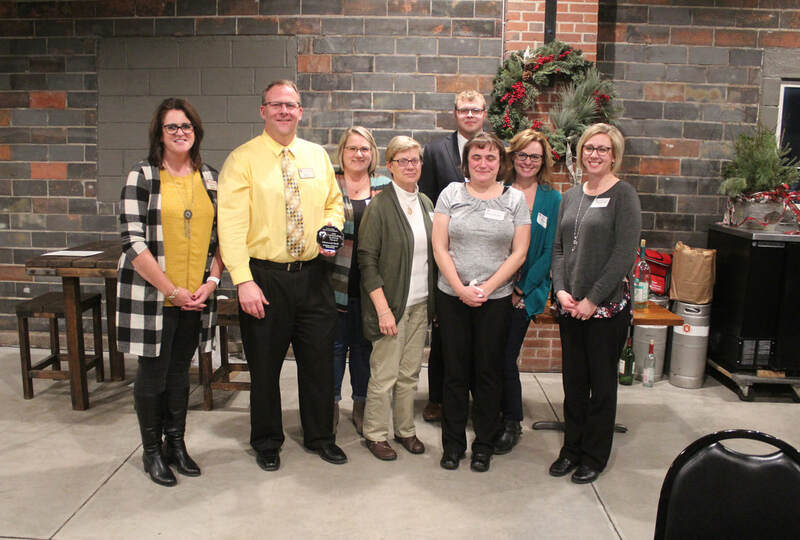 This award recognizes an outstanding individual or family with a proven record of exceptional financial generosity and volunteer leadership to one or more Rock County nonprofit organizations who has: 1) demonstrated extraordinary civic and charitable responsibility, and 2) whose generosity inspires others to philanthropic action. This award is to honor the achievements of a living person(s). Recognizes an outstanding volunteer group that has demonstrated exceptional commitment to the community through direct involvement, financial support and leadership. The group should have official status or recognition, i.e., be a chartered support group or incorporated as a nonprofit organization.